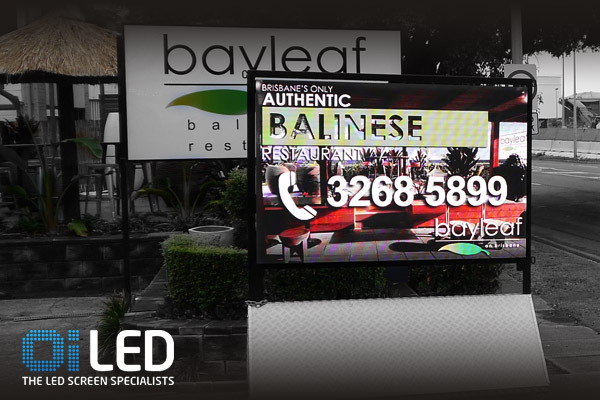 Turnkey Digital Signage and LED Screen installation solutions. 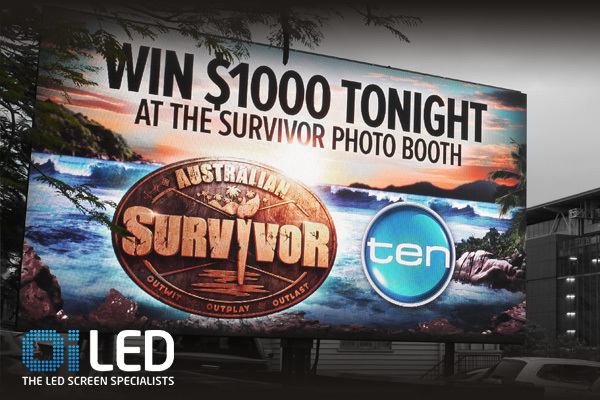 Indoor & Outdoor LED screen displays. 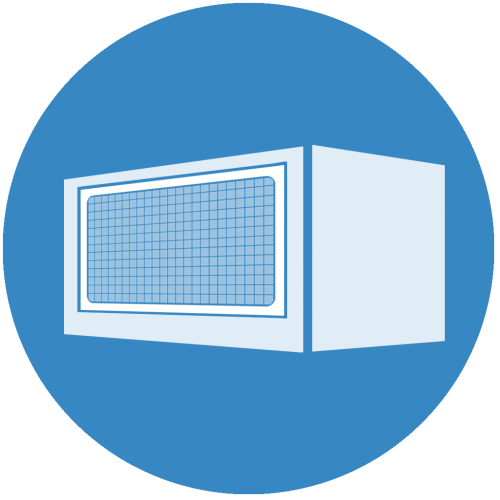 Permits – Supply – Fabrication – Installation – Content Management – Service & Maintenance. · Corporate – Foyer, Reception, Boardroom, Video Conferencing, Meeting/Training/Media room, Creative displays. 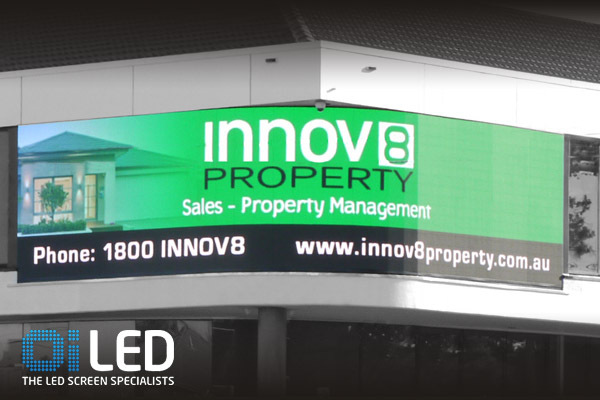 · Property / Real Estate – Property marketing, Sales Suite, temporary or permanent digital sales signage. 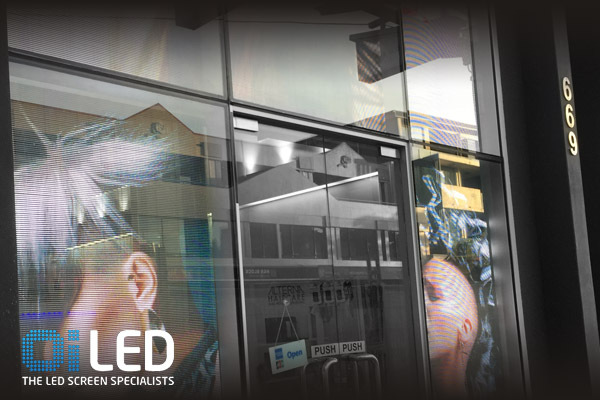 · Automotive – pylon sign, showroom displays, product launches, window displays, reception. 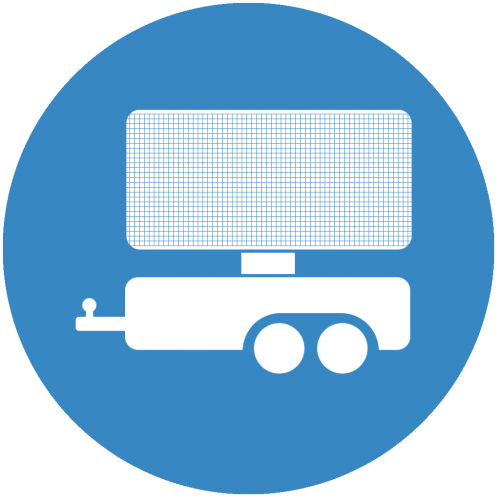 As a property owner establishing a billboard advertising site can promote your business, your tenants or potentially derive third party advertising revenue. Of course it’s all about location and audience. 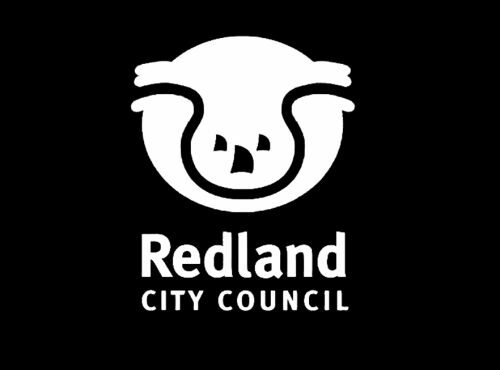 Property located on busy roads, intersections or high pedestrian environments offer more exposure and therefore value. 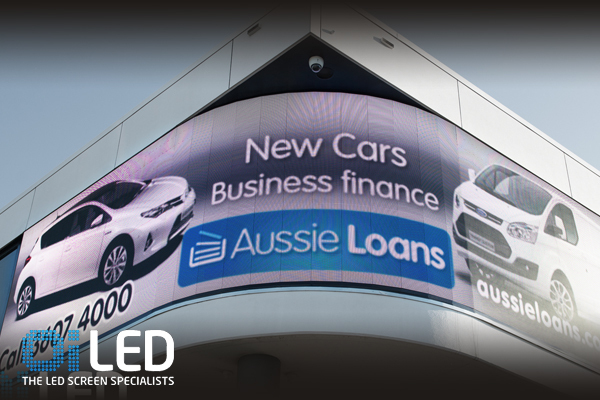 With a wealth of industry knowledge Oi LED will advise you on the best location, size and type of billboard, operation & content management. 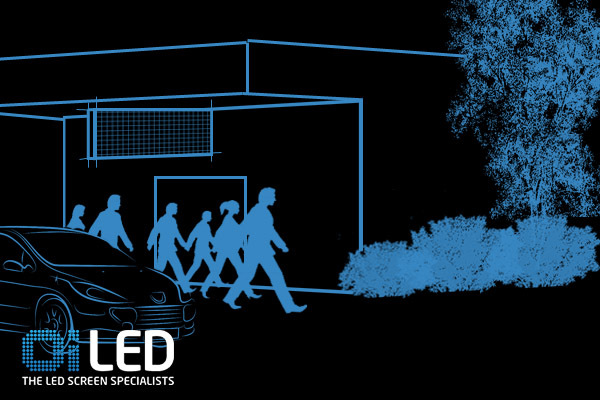 Oi LED will guide you or project manage the entire process… from permit acquisition to design, engineering, fabrication, installation, commissioning and servicing. 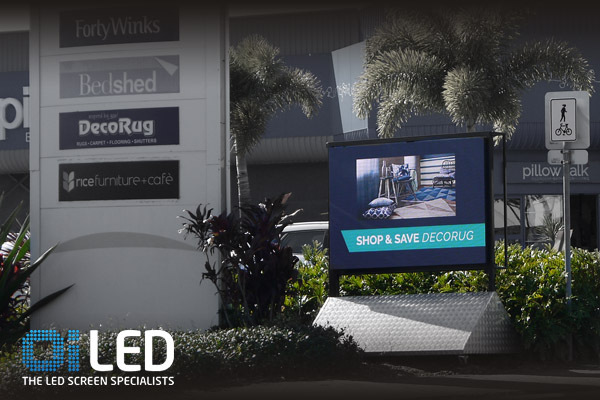 For roadside LED digital signage most Local Government Councils require a permit – see our Permits section for handy links to all South East Queensland Council’s advertising sign permit information. 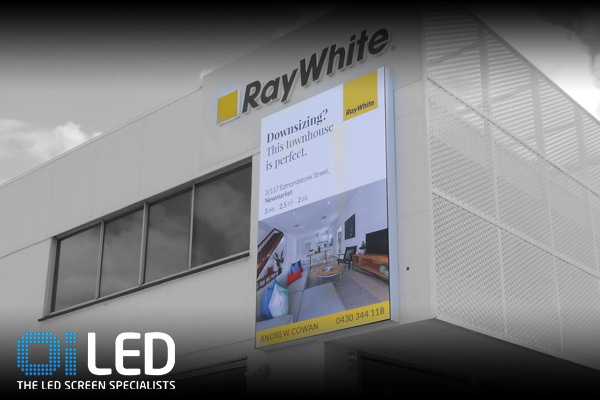 Use the ‘Get a Quote’ button below to guide you through the relevant information for installing an LED sign. 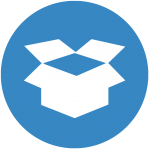 One of our expert staff will be in contact with you to discuss the opportunities available and provide you with an obligation free quote. 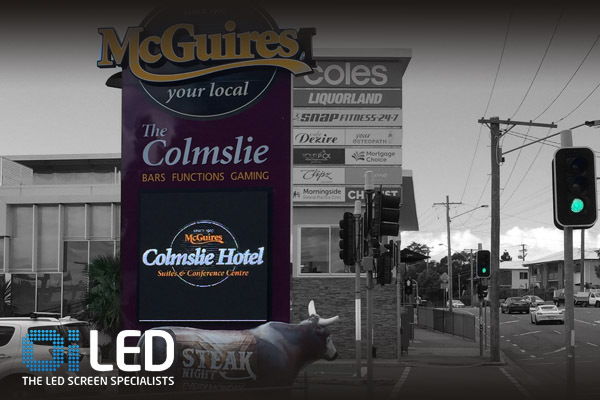 Convert Static Sign to LED Advertising Sign that works day & night. 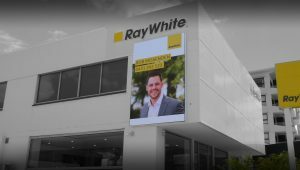 Whether you’re upgrading existing static signage to LED or want to install a new LED Pole Sign we have the right advice and products for you. 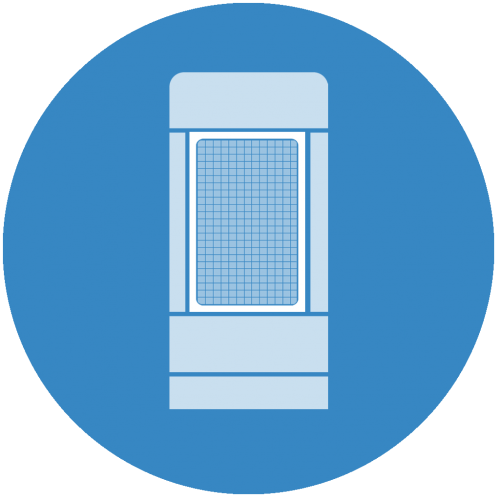 Pole signs are typically < 4m2 as single or multiple pole structure. 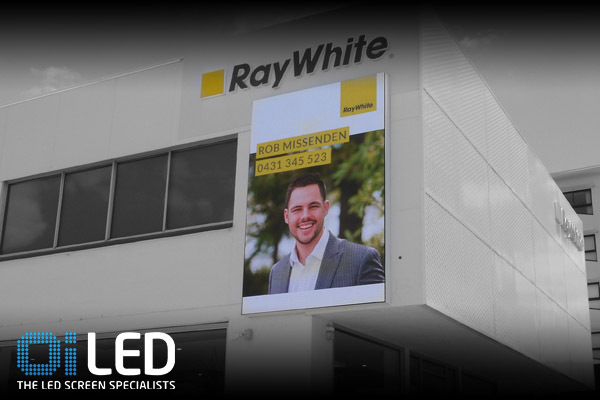 Generally speaking Pole Sign is at the cheaper end of LED sign installations, especially if your existing pole sign is already illuminated. 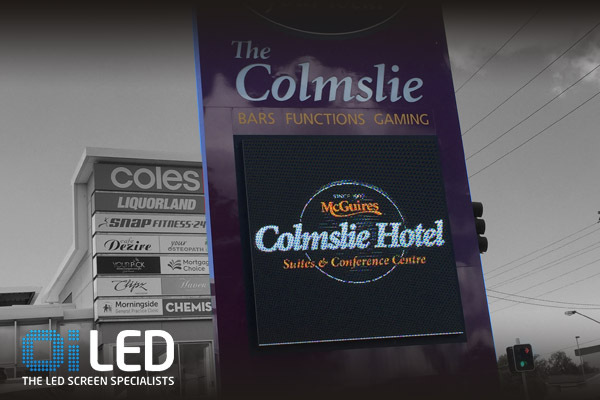 Pole signs can be single or double-sided or combination of LED one sign and static sign the reverse side. 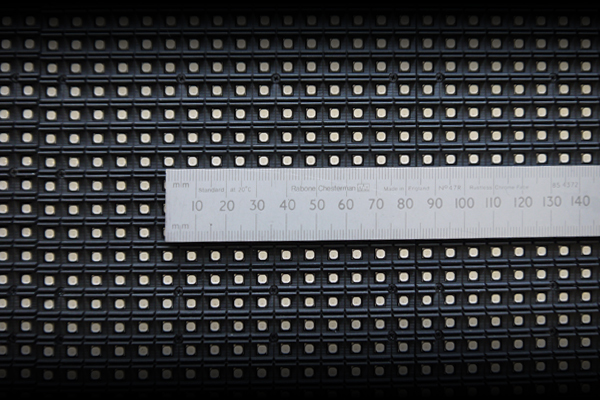 There are a number of variables to consider but typically pole sign 2m2 – 6m2 would suit LED product P6, P8 or P10. 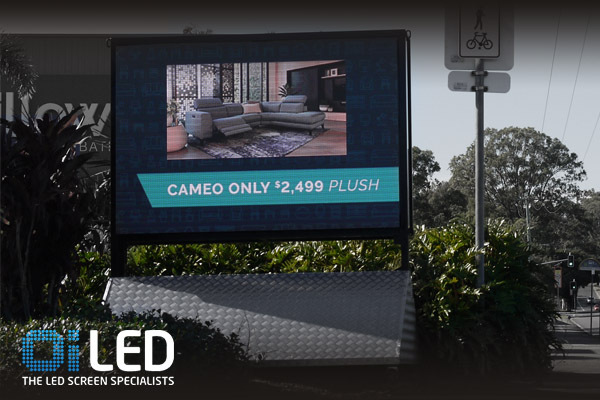 For roadside LED digital signage most Local Government Councils require a permit – see our Permits section for handy links to all South East Queensland Council’s advertising sign permit information. 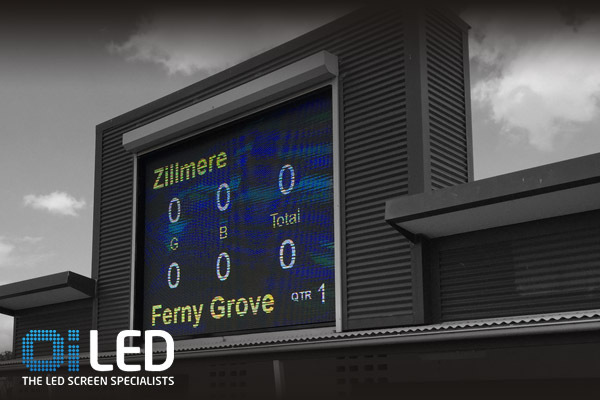 Use the ‘Get a Quote’ button below to guide you through the relevant information for installing an LED sign. 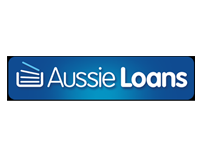 One of our expert staff will be in contact with you to discuss the opportunities available and provide you with an obligation free quote. Not just branding - it's a sign that sells. 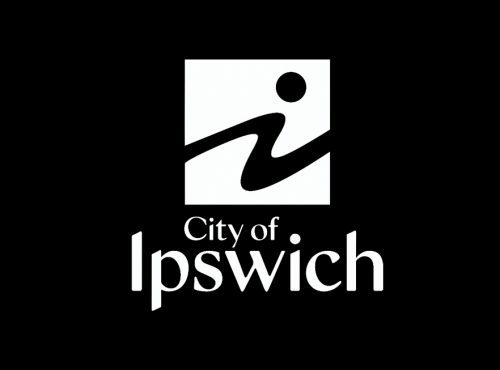 Pylon signs typically include multiple brand or business identification static signage panels. 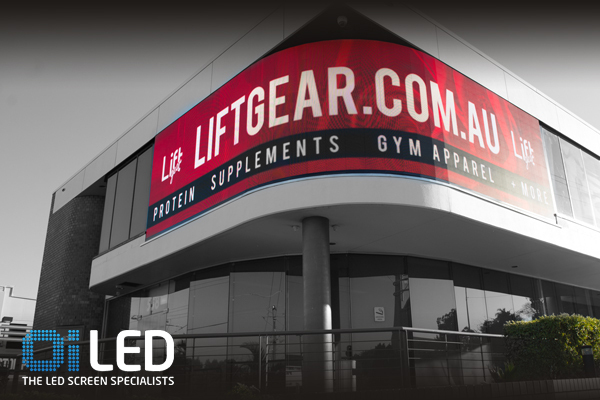 Many clients are now seeing the benefits of converting part or all of their pylon sign to LED signage. 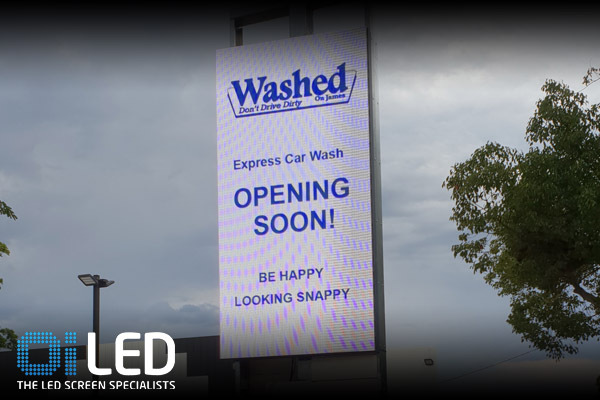 LED signage gives you the flexibility to promote multiple products, services and timely offers, changing the message as required. 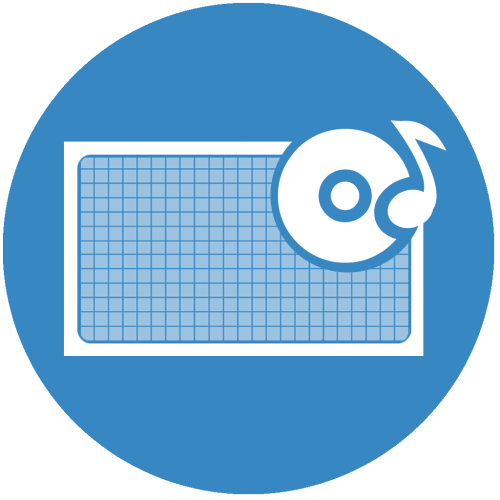 Our remote connectivity software allows you to control and update your signage anywhere any time. 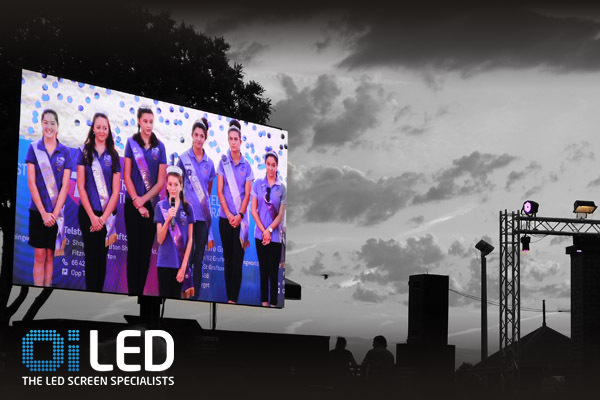 For roadside LED digital signage most Local Government Councils require a permit – see our Permits section for handy links to all South East Queensland Council’s advertising sign permit information. 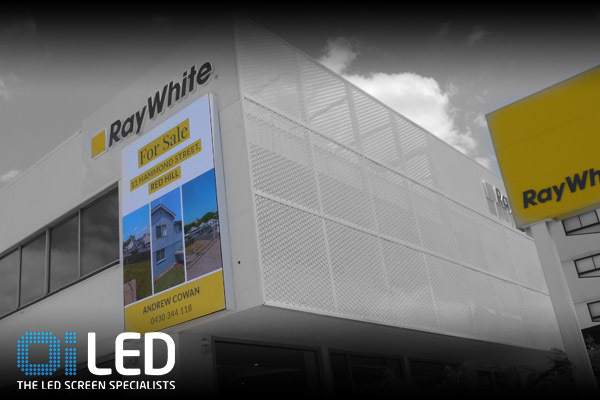 Use the ‘Get a Quote’ button below to guide you through the relevant information for installing an LED sign. 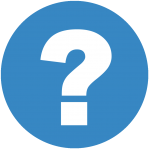 One of our expert staff will be in contact with you to discuss the opportunities available and provide you with an obligation free quote. 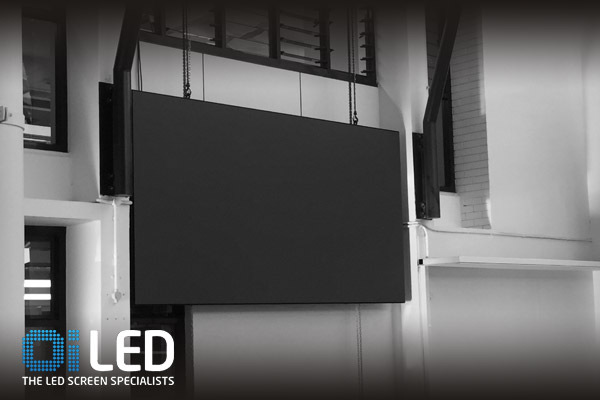 Front-service LED screen products are designed for wall mounted signage. Whether street level for pedestrian audience or higher on your building wall mounted signage is a relatively simple installation process. 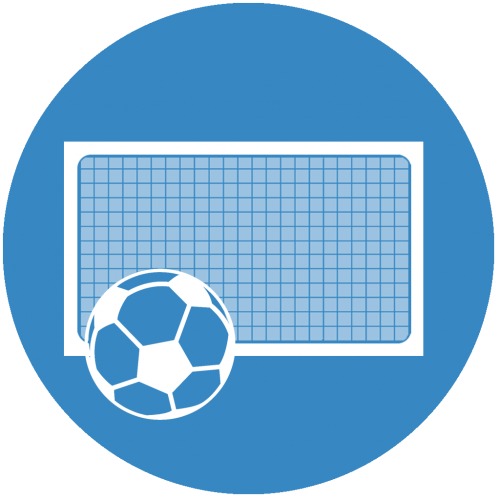 Wall signs can vary in size and format, depending on the available wall space you have. 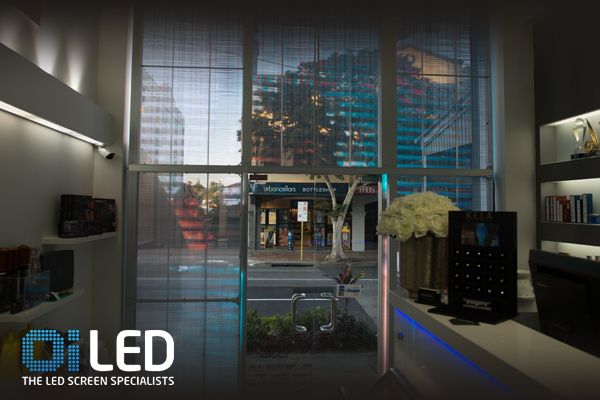 We will advise you on the best format, location and LED product to suit the project. Our remote connectivity software allows you to control and update your signage anywhere any time. 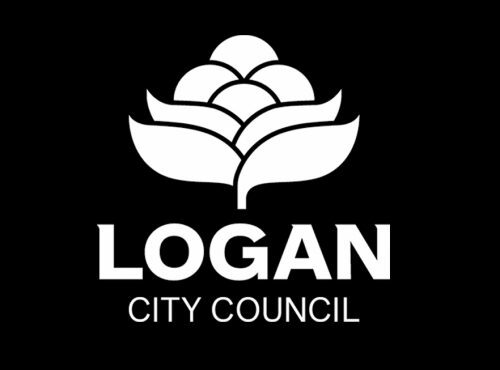 For roadside LED digital signage most Local Government Councils require a permit – see our Permits section for handy links to all South East Queensland Council’s advertising sign permit information. 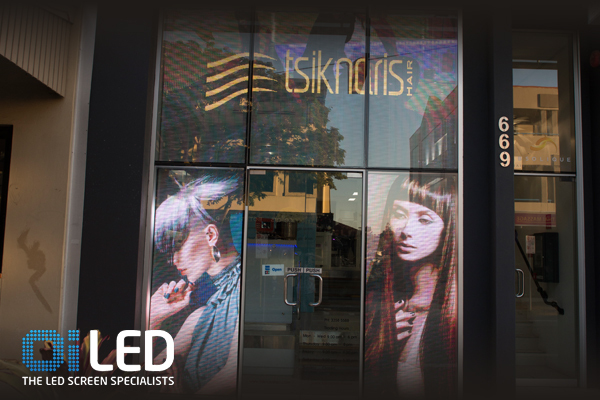 In the retail space many clients are looking to LED rather than static signage or product displays for their shopfront. 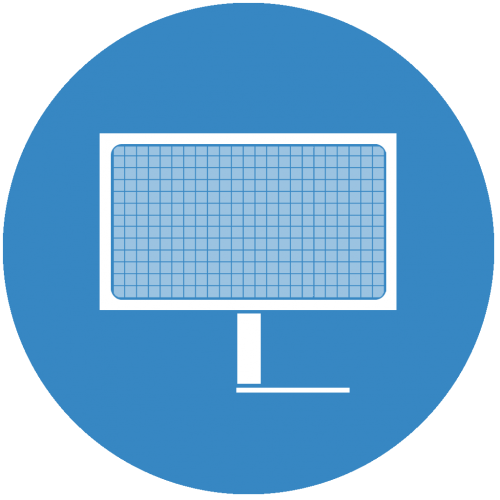 Transparent LED screens are a relatively new and exciting product. 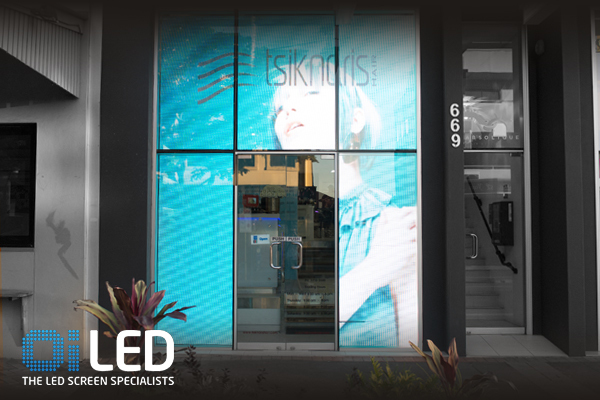 Unlike traditional solid LED panels, Transparent LED screens with up to 70% transparency still let light into your premises and maintain visual from the inside. 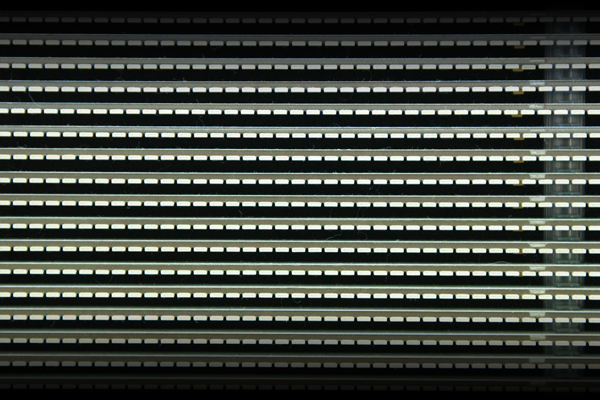 Think of Transparent LED screens like a venetian blind with thin LED strips on one side. 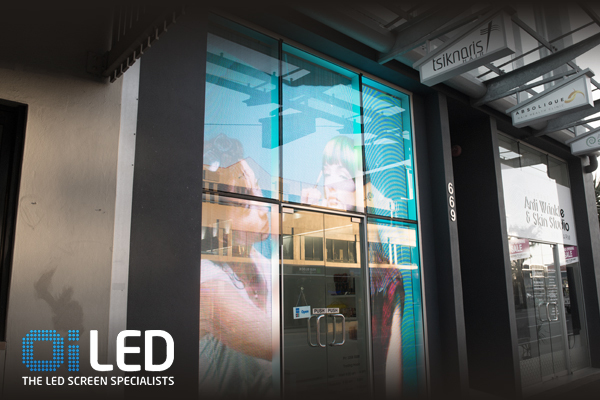 Transparent LED products are very effective in retail environments where you don’t want to block viewing into or out of the store but create a very attractive and eye catching adverting space. 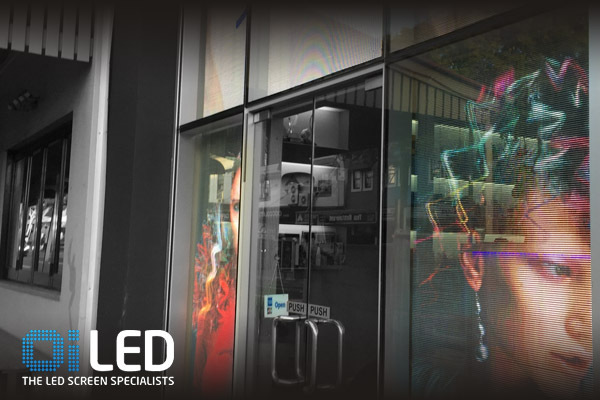 Transparent LED products are an excellent alternative to static one-way vision signage installed on windows – imagine the flexibility to run multiple products & offers, without the printing, installation or removal costs. 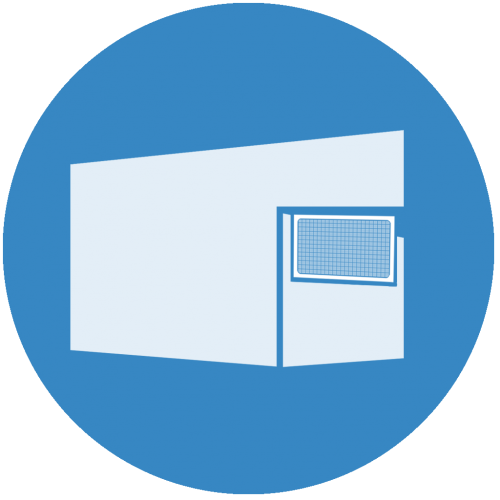 Traditionally static under awning signs identify the location of your business. 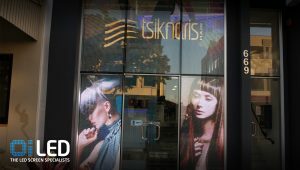 Now with an LED under awning sign you can advertise the products, services and special offers you have in store daily. 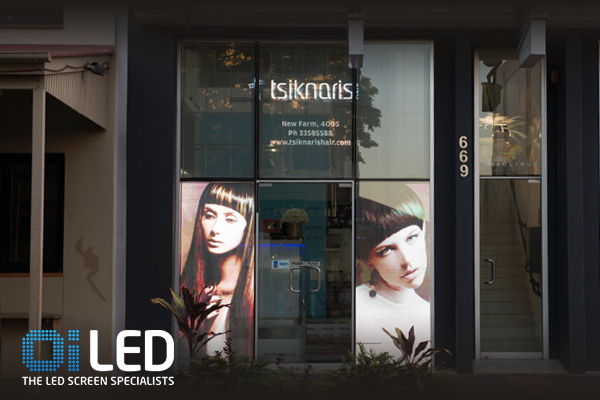 LED Under awning signs can be single or double-sided. 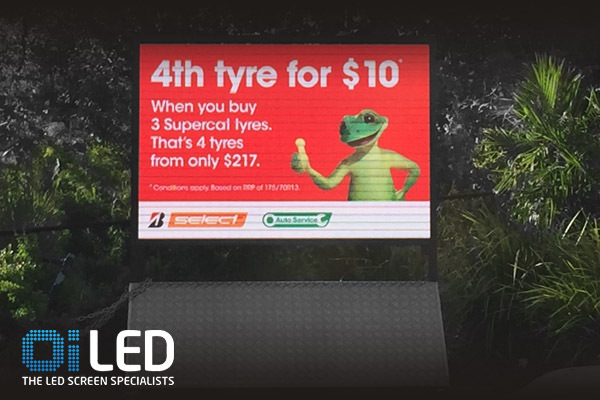 Remember you’re advertising to a passing pedestrian audience who are viewing your sign from 5m – 20m away so LED product selection is important – your sign needs to have sufficient resolution, Oi-LED recommends P4, P5 or P6 product. 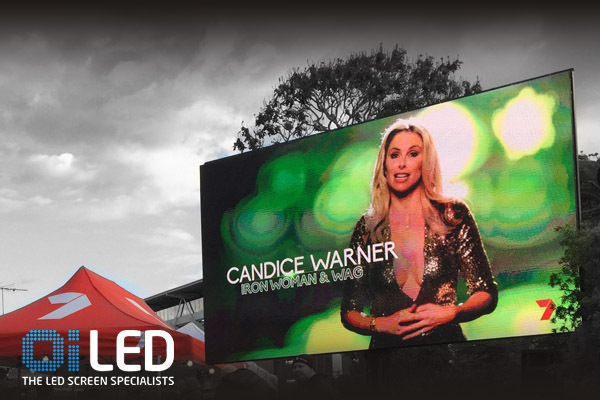 Several of our event clients hire our trailer LED screens as a scoreboard or for live video – we have scoring software templates for all Football codes plus Cricket, Volleyball and Equestrian Polo. 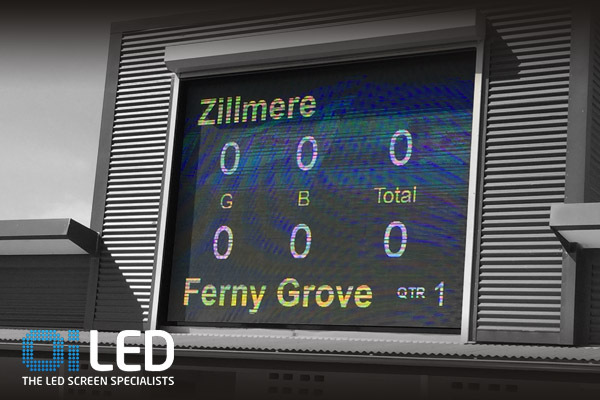 Many sporting Clubs and Schools are now installing their own permanent LED scoreboard and video screen to enhance their spectator experience and add value for sponsors. 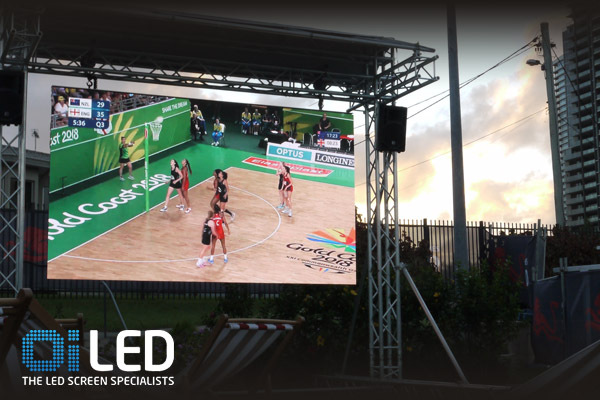 From large stadium screens to local sporting clubs Oi LED can tailor a solution. 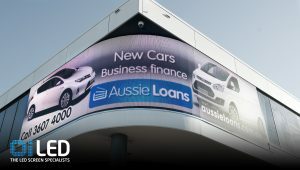 If you’re looking for a temporary or rather less permanent advertising sign solution a mobile LED sign may be the answer. 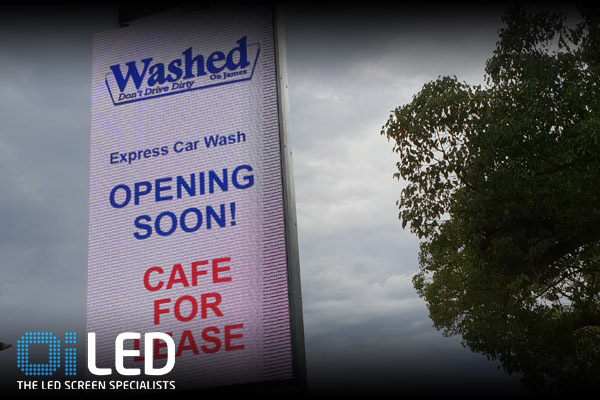 A trailer or trolley style LED sign can be moved to different locations, great if you have multiple stores. Or perhaps you only require intermittent advertising, in which case you could store your sign when not in use. 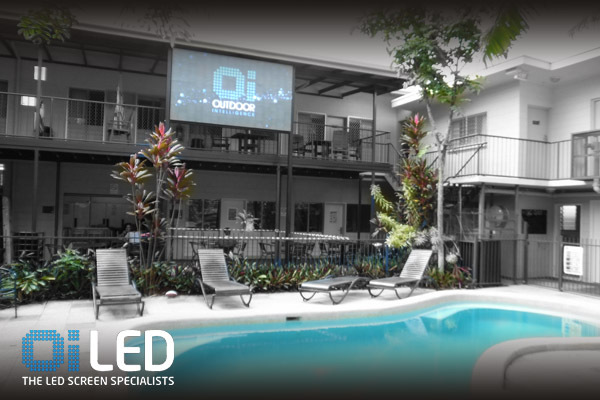 Oi LED designed and built our own rental LED signs and we can do the same for you. 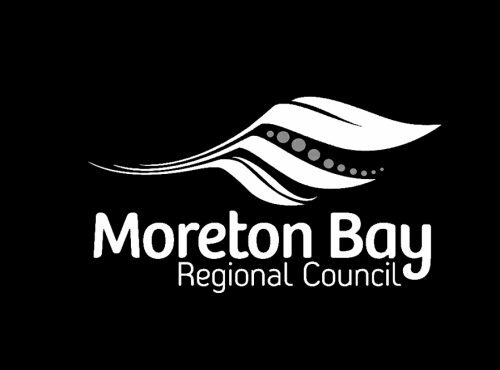 Everything is customisable so get in touch and let’s create a sign solution that works for your business. 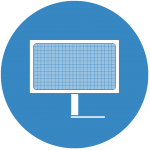 Click here to view the LED Solution products we use. 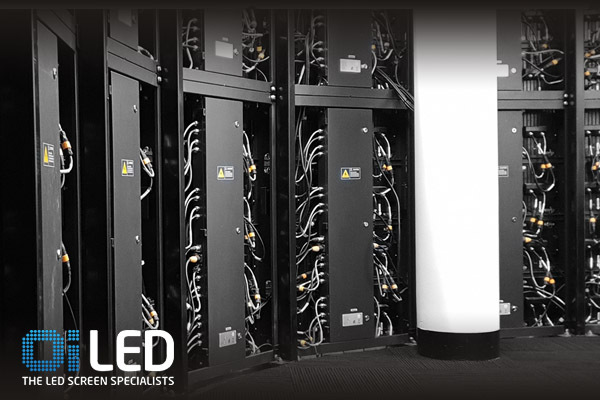 Explore ourLED products available for integration into your solution - ASK US FOR ADVICE! 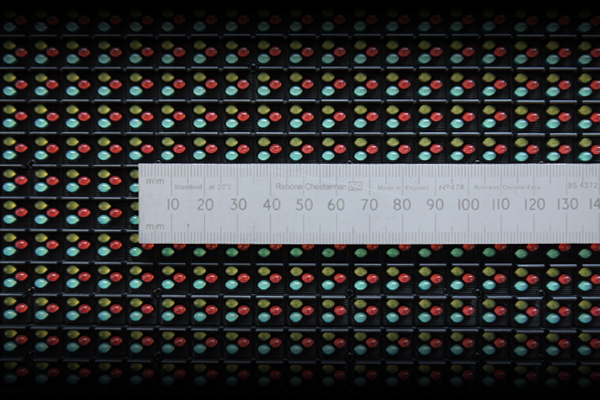 Pixel pitch is the distance from the centre of an LED cluster (or pixel) to the centre of the next LED cluster (or pixel) measured in millimetres. 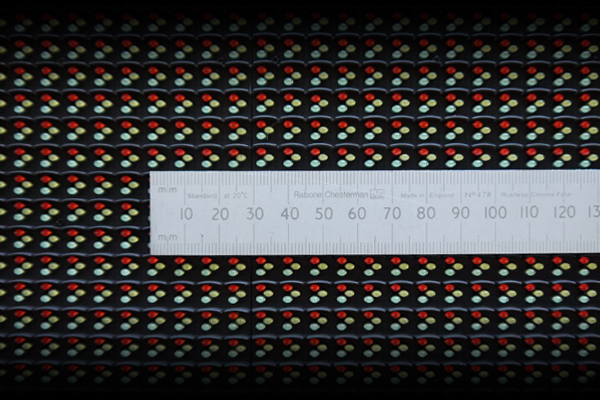 Selecting the right pixel pitch to suit the application is essential to the resolution quality of your LED display. 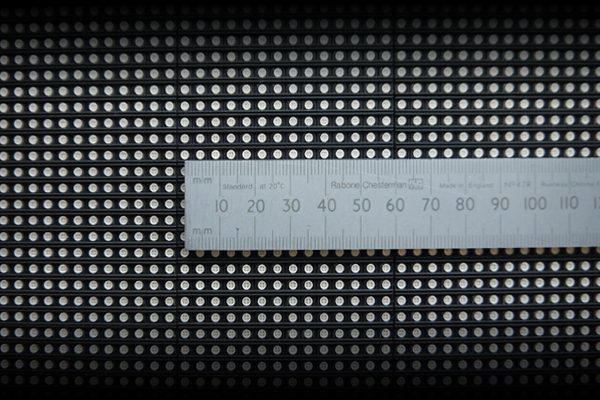 The right pixel pitch relates primarily to the physical size of your LED display, environment and viewing distance. 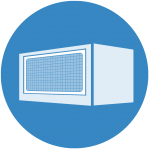 There are a number of factors to be considered including price, which can vary considerably. 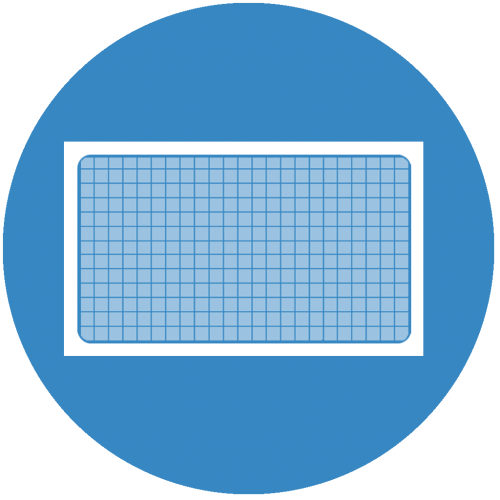 Use the images above to guide you through the different pixel pitch sizes available. 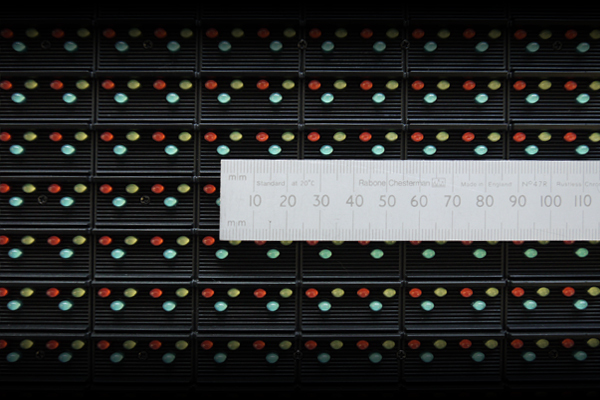 * SMD technology is a single bulb or casing with 3 tiny RGB diodes within the casing, not visible to the naked eye. 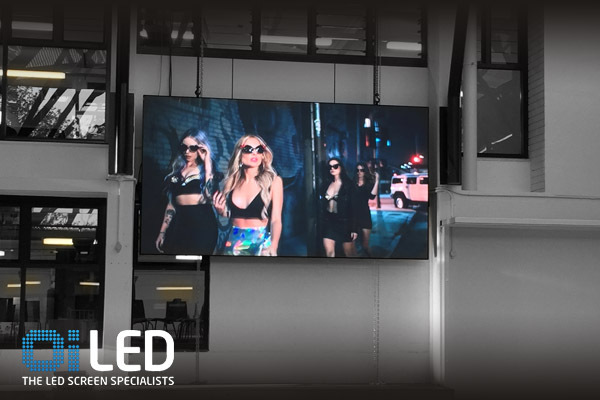 SMD technology has driven the miniaturisation of LED’s to allow much higher resolutions (smaller pixel pitch) and increased pixel density. 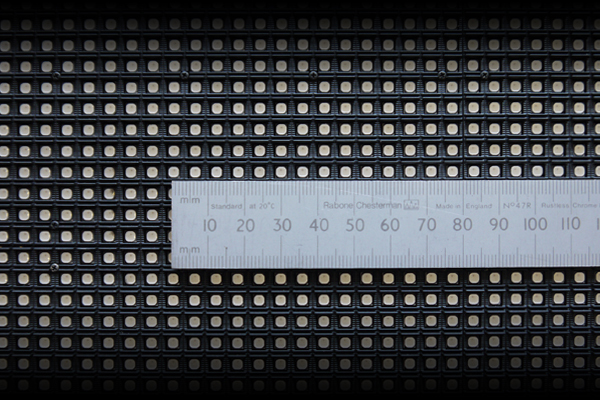 Again, the images above provide examples of SMD technology. 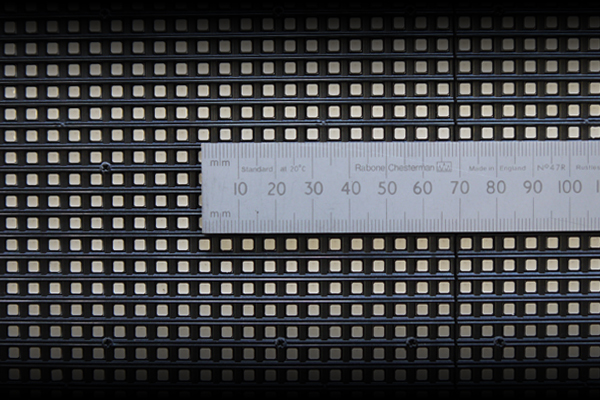 We have just covered some basic product knowledge when it comes to LED. 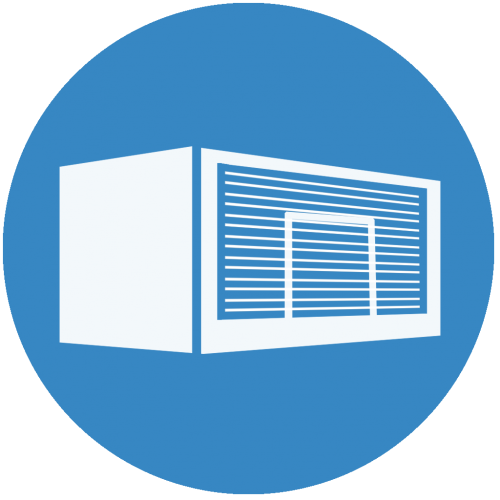 Ultimately each project requires a professional audit to ensure the correct product is installed for you. 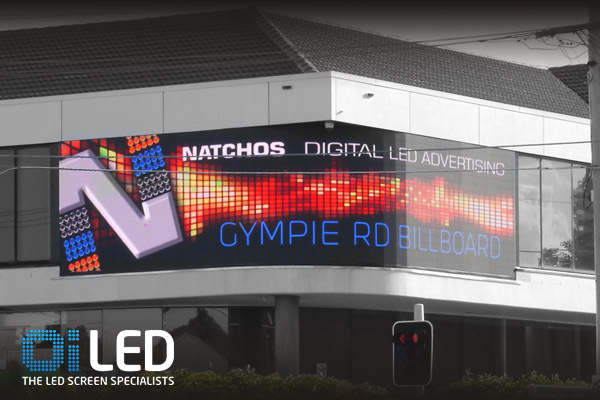 If you are considering purchasing LED signage please contact our experts for an obligation free quote and site audit. 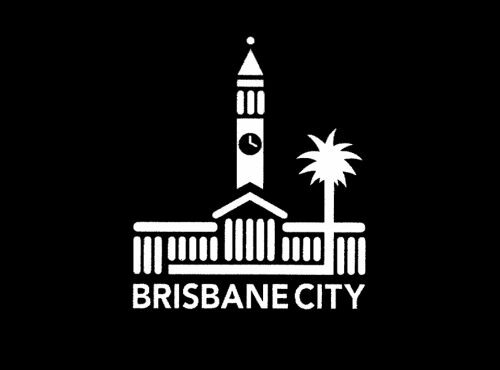 Please read the information from the link below. Please read the information from the links below.